The animals at the fifth annual Urban Livestock Expo, unlike their wilder counterparts, are indifferent to the fact that it’s an unusually warm and sun-drenched winter day. 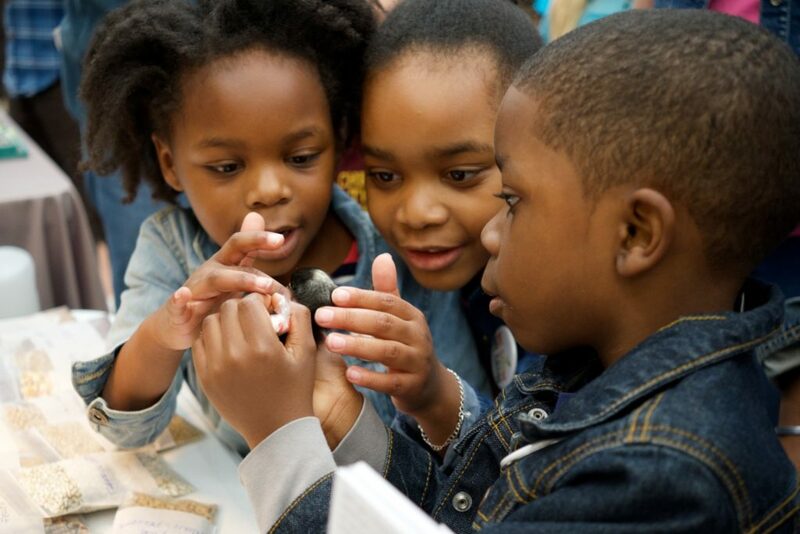 They have been convened in the ventilated lobby of the Chicago High School for Agricultural Sciences (CHSAS) by local nonprofit Advocates for Urban Agriculture for an event intended to showcase the urban livestock community and to educate would-be urban farmers. Many of the presenters at last Saturday’s event are on double duty, discussing their livelihoods with attendees before dashing into classrooms to teach workshops. When Kristen Hollinden began raising chickens in 2012, she enlisted Jennifer Murtoff, a “chicken consultant” and owner of Home to Roost, to inspect her coop. Hollinden has a photo album on her table full of pictures of her children and the chickens interacting. As she speaks, her son comes up and hugs her hip. Ed Hubbard introduces himself to an attendee as “the worm guy,” recognizing the unusual nature of his profession. 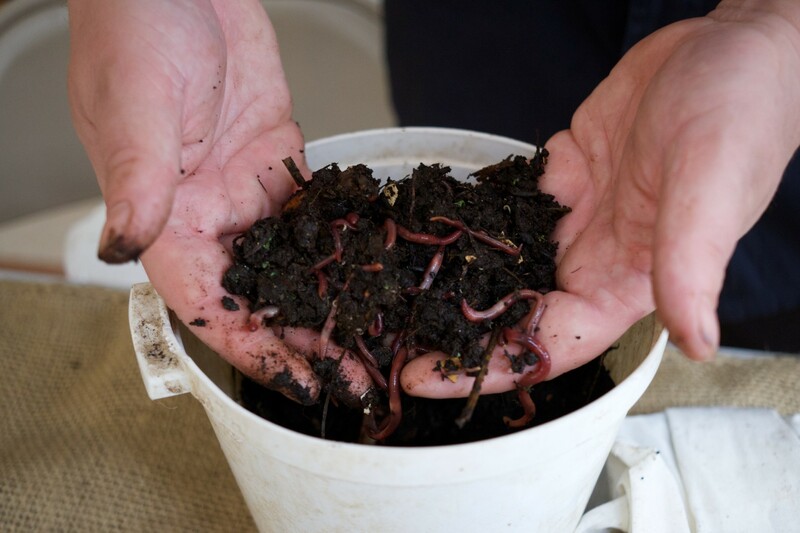 Though he gave up selling worms in high school, when Hubbard left his job as a software CEO three years ago, he once again began selling worms, this time out of concern for the environment. His business’s worms make compost from waste, which he sells as fertilizer. Jenny Addison’s coop is one of many stops along the annual Windy City Coop Tour. She’s seen a variety of people come through her yard: established coop-owners who wanted to make connections, community gardeners who were considering buying a coop, elementary school teachers interested in getting coops for their classrooms, and families who wanted to explore the possibilities of urban livestock, as well as the merely curious. Smith can talk at length about the different varieties of honey. But when I ask him if he has a favorite, he deadpans. “I hate honey,” he says seriously. “I can’t stand honey. I can’t stand it. And I’ma tell you why: if you worked in a slaughterhouse, you would not eat meat.” Fair enough. Lidia Andronic’s table is especially popular with children, likely because of the fifteen or so chicks meandering in the table’s glass tank, over which Andronic presides like a judge. 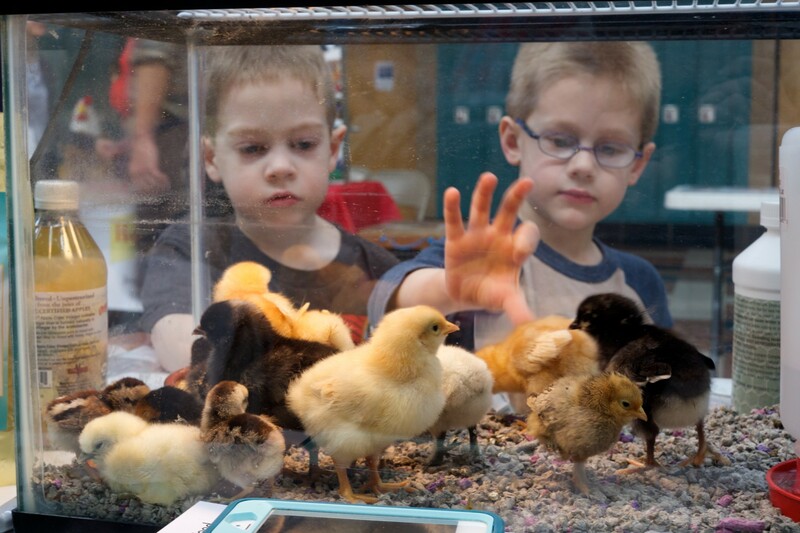 She likes asking people if they want to hold the chicks: it’s the first thing she does as I approach her stand. As we talk, one of Hollinden’s sons approaches demurely. “Yeah? You want the small ones?” she says. She removes the tank’s wire grid top, scoops a chicken up, and transfers it to the boy’s hands with careful instructions. She takes a picture of him cradling the chick, smiling. This sounds like a lovely event! Would have been good to know where and when this took place, though.